BASSET (Beverage Alcohol Sellers and Servers Education and Training) is the State of Illinois' responsible beverage seller-server program. 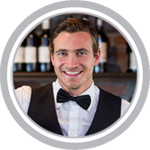 BASSET responsible alcohol seller-server training ensures that sellers and servers of alcohol understand the Illinois liquor laws and serve alcoholic beverages responsibly. BASSET seller-server training program can also significantly reduce the risk and liability associated with alcohol service. Most alcohol sellers and servers in Illinois are required to be BASSET certified. Employees in establishments that sell and serve alcohol in bars, restaurants, hotels, taverns, night clubs, and banquet halls: bartenders, bar backs, servers, managers, security personnel and bouncers. Employees in establishments that sell alcohol in liquor stores, grocery stores, convenient stores and gas stations: sales associates, clerks, supervisors and managers. Why should you take a BASSET course? Audience: Illinois employees in establishments that sell and serve alcohol in bars, restaurants, hotels, taverns, night clubs, concessions, and banquet halls: bartenders, bar backs, servers, managers, security personnel and bouncers. A roster of students who have passed the exam is sent to the Liquor Control Commission (ILCC). The Commission (ILCC) then issues BASSET cards to participants who successfully complete the course. BASSET cards a valid for 3 years from date of issuance. The Illinois Liquor Control Commission (ILCC) is responsible for the control over the importation, distribution, sale, and consumption of alcoholic beverages, which applies to all retailers, suppliers, and wholesalers who are licensed to manufacture, sell, serve, transport, or store liquor in the State of Illinois. The July 2015 signing of Public Act 99-0046 (PDF) required alcohol servers (and those checking ID's for alcohol service) in Illinois on-premise establishments to successfully complete a Beverage Alcohol Sellers/Servers Education & Training (BASSET) class every 3 years. The mandate took effect by a pre-determined date​ based upon county population (NOTE: Many local jurisdictions already require BASSET; please visit the Local Survey page for ordinances in your community). 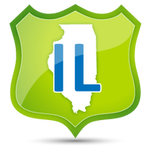 We offer online Alcohol Safety Training in Illinois for: Chicago, Aurora, Rockford, Joliet, Naperville, Springfield, Peoria, Elgin, Waukegan, Cicero, Champaign, Bloomington, Arlington Heights, Evanston, Decatur, Schaumburg, Champaign County, DuPage County, Kane County, Lake County, Madison County, McHenry County, Clair County, Winnebago County, and many more!